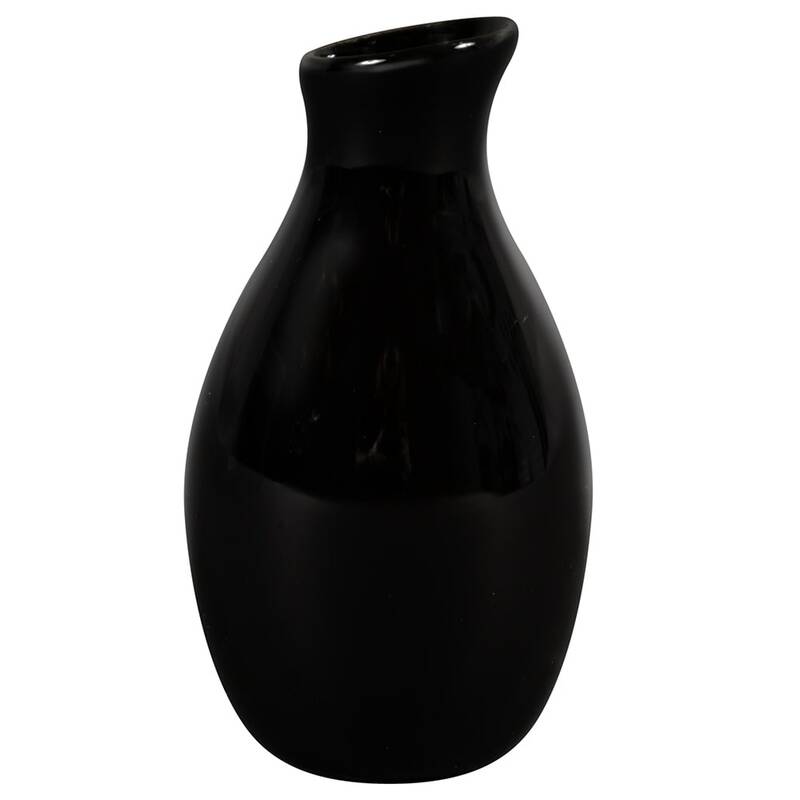 The American Metalcraft BVJGB5 bud vase is a great vessel for holding stemmed flowers on tabletops for a pop of color. The vase is shaped like a rounded jug and comes in black to blend in with existing décor. The vase's ceramic body provides a classic appearance. "Purchased the bud vases for a restaurant grand opening. They arrived and perfect condition and right on time. Katom was so easy to work with......"
"I generally use these for the flowers I make by hand out of crepe paper for Mexican restaurants in the San Antonio, Texas area. I have ordered fr..."
"very small! this is not what I expected at all. They are really small." "Purchased the bud vases for a restaurant grand opening. They arrived and perfect condition and right on time. Katom was so easy to work with... sending a big "THANK YOU""
My customers just love your little vases! "I generally use these for the flowers I make by hand out of crepe paper for Mexican restaurants in the San Antonio, Texas area. I have ordered from you several times. My only concern this time was breakage in shipping. Normally, vases in quantities of less than 12 are wrapped in packing paper. This time, they were placed in a box meant for a dozen vases. This didn't hold up and 3 of them arrived broken. However, I will continue to be a customer for life! Thanks for an excellent product at a very competitive price." "Used these charming vases for favors at a banquet dinner. With just one blossom, one sprig of greens and some berries they looked like they were worth a lot more."